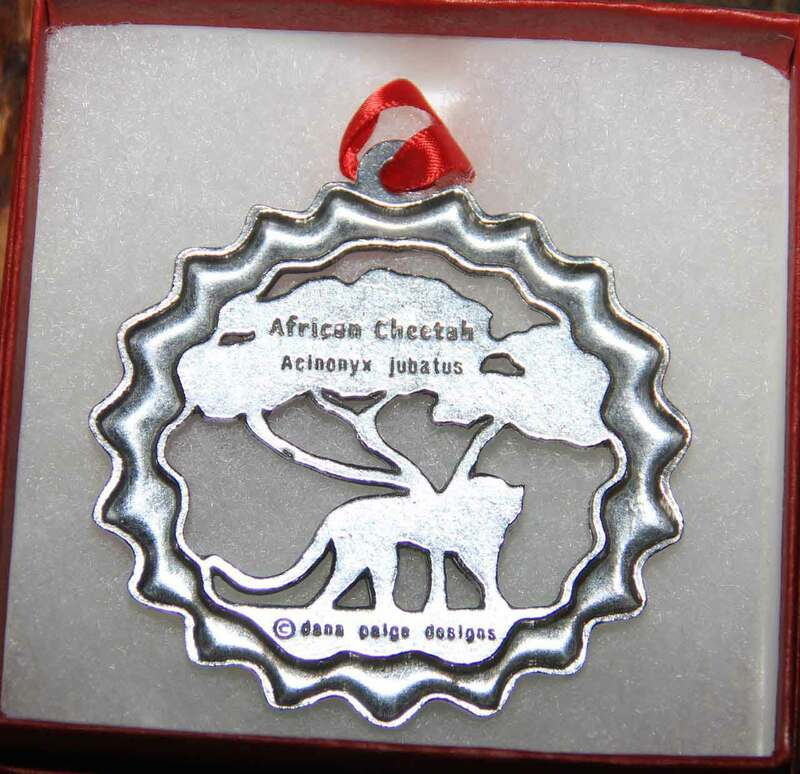 Stars, ornament balls, and a bow atop a festive holiday wreath encircle a beautiful African Cheetah in this gorgeous design by Dana Paige, artist and animal ornament designer. 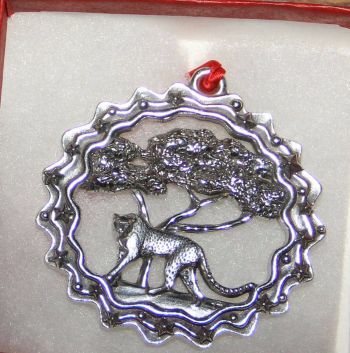 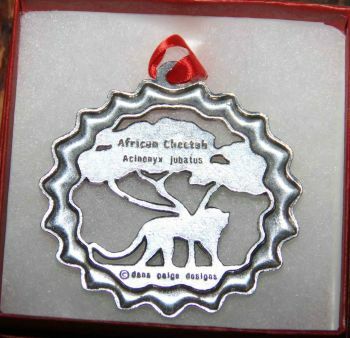 This beautifully hand-crafted pewter African Cheetah Ornament is such a great testament to the gorgeous Cheetah, native of the African lowlands... This Cheetah Ornament will make an elegant addition to your holiday tree or a great gift for your favorite Big Cat cat enthusiast!